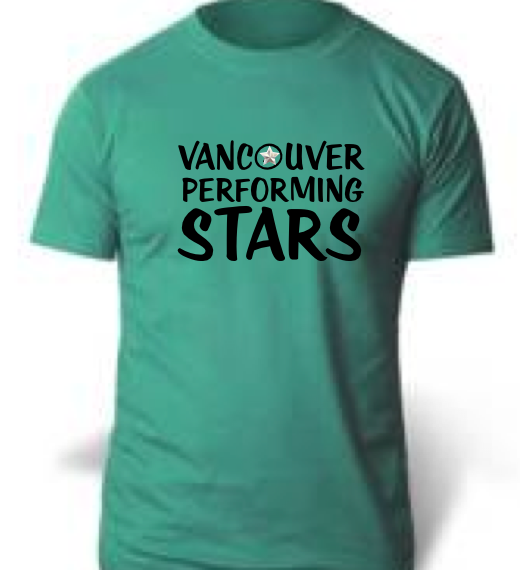 The NEW Vancouver Performing Stars T-Shirts will be available to purchase for $12 this coming week. Ladies t-shirts are available in Lime Green for $15. Join the VPS Family and get your tshirt this week!